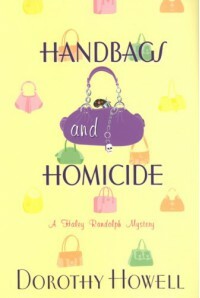 Handbags and Homicide by Dorothy Howell is a fun read that is perfect for summer. It’s funny, fast-paced, and there are enough designer handbag references to make you drool. I’m not a handbag afficionado. I buy cheap at Target. But the book even had me drooling when I looked up pictures of the handbags in question. I had a hard time liking Haley at the beginning of the novel. 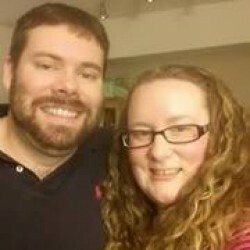 I found her vapid and narcissistic and not too like-able. For a while, I wasn’t sure if I was going to like the novel at all. I mean, she finds a dead body and it’s not big deal? Why isn’t it a big deal? Dead body. Pool of blood. BIG DEAL! But, something shifted for me around the time she figured out she was being accused of embezzlement. She had this moment of “How could I have been so stupid?” and vowed to never let it happen again. That moment of self-realization shifted me from “I always finish books, no matter what” to “What’s going to happen next? I HAVE TO KEEP READING!” At that moment, she became real to me. My advice to you: keep reading. It gets better. I think Handbags and Homicide by Dorothy Howell is equal parts Confessions of a Shopaholic and Janet Evanovich/Stephanie Plum novels. I noticed a few similarities in the dynamics between Haley/Ty/Jack and Stephanie/Joe/Ranger. It’s not an exact replica, Hayley and Jack’s flirtation is very similar to the flirtation between Stephanie and Ranger. I think if you’re fans of both series, you’ll enjoy Handbags and Homicide.